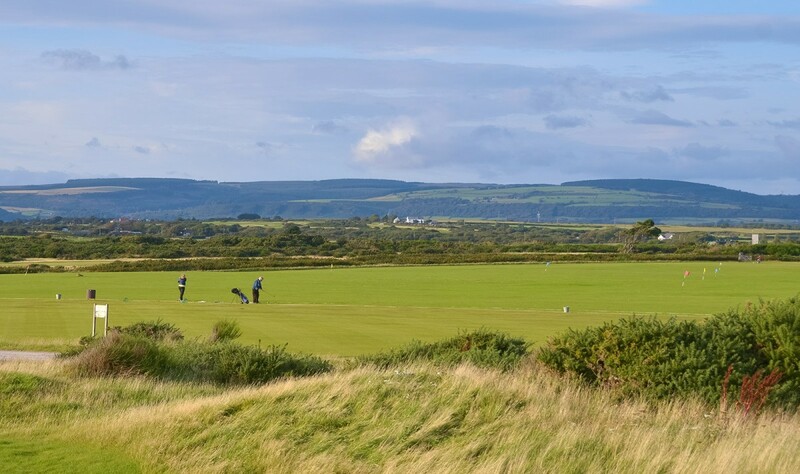 The practice facilities comprise of an expansive grass range, a choice of two putting greens, chipping area and five hole par three Academy Course. Between the clubhouse and beach you will find the first of two practice putting greens. This offers players convenience and a feel for what to expect on the course. Those in search for a more comprehensive warm up will find the driving range approximately 300 yards in the direction of the eighteenth tee. Golf balls are to be collected from the Professional Shop and users can travel by foot or vehicle to the designated range car park. To the right of the range you will find the Academy Course. The holes are designed for short distance shots and use of the facility is complimentary to guests. Alongside the first hole on the Academy Course is the main practice putting green and, immediately opposite, our designated chipping green complete with two sand traps. Both greens are to scale and course specification enabling an accurate perception of pace and speed.